June in St. Louis can be hot and humid, but summer is when the city really comes alive. Here's information on the Gateway City's best outdoor concerts, festivals, and stage productions—and even some indoor options for those looking to beat the heat. 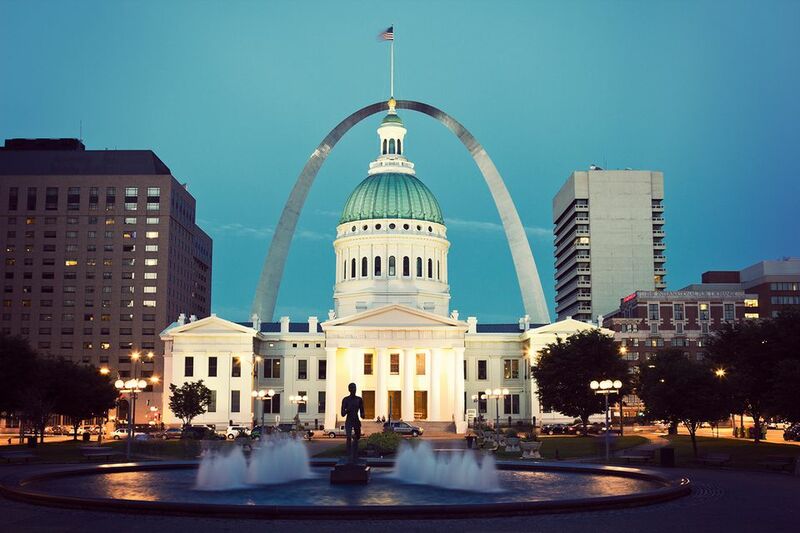 If you're looking for great things to do without spending any money, check out​ the free summer events and activities in St. Louis. The Missouri Botanical Garden is once again hosting free summer concerts on Wednesday nights. Featured musicians in June include Lamar Harris and Charlie Halloran. Admission to the garden is free on Wednesdays after 5 p.m., and the concerts begin at 7 p.m. Bring lawn chairs, blankets, and a picnic dinner and gather around the Cohen Amphitheater for a night of music under the stars. Food and drinks are also for sale. The annual Whitaker Music Festival is definitely one of many free summer events in St. Louis worth checking out. Grant's Farm extends its evening hours until 9 p.m. every Friday of the month to host a variety of local food trucks. The trucks will serve up entrees and sweets in the Tiergarten. Enjoy live music, carousel rides, goat feeding, and snow cones. The animal exhibits will be open for viewing as well. The name really says it all. This annual festival celebrates everything about the pungent, spicy root known as horseradish. And when it comes to horseradish, growers in Collinsville, Illinois, sure know what they're talking about. That's because this Metro East town produces 60 percent of the world's horseradish every year. There will be plenty of horseradish-flavored food at the festival, as well as live music, games, crafts, Bloody Mary contest, petting zoo, Budweiser Clydesdales, and a root toss. Shakespeare Festival St. Louis gives free performances this month in Forest Park. This year's play is "Romeo & Juliet." The show is performed nightly at 8 p.m., except Tuesdays. Pre-show activities begin at 6:30 p.m. and include music, performance art, and backstage tours. Vendors sell food and ​drinks, or you can bring your own picnic basket and a bottle of wine. Twangfest is a celebration of Americana and roots music featuring artists from across the country. Musicians play at Off Broadway in the historic Cherokee Lemp District south of downtown St. Louis. Performers this year include Ray Wylie Hubbard, The Bottle Rockets, and The Cactus Blossoms. Pink is the color to wear on June 9 in downtown St. Louis. That's when breast cancer survivors and their family and friends will hit the streets to fundraise for the Race for the Cure. St. Louis hosts the largest Susan B. Komen race in the country with more than 60,000 participants each year. If you don't want to run the 5K, there is also a 1-mile fun run/walk option. It's not truly summer in St. Louis until the lights go on at the Muny in Forest Park. For 100 years, people have come every summer to see performances at the oldest and largest outdoor theater in the country. The season begins June 11 with "Jerome Robbins' Broadway." Tickets for all musicals are $15 to $100, or arrive early and sit in the free seats at the back. Thousands of visitors will fill the area around Soldiers Memorial in downtown St. Louis during the annual PrideFest celebration in late June. The festival is the year's largest event for the lesbian, gay, bisexual, and transgender community. It draws visitors from across the region and around the country. The parade starts down Market Street at noon on Sunday. In addition, there are activities all weekend long including live music, vendors, food, and entertainment. Get in a little exercise this month at The Macklind Mile. The race/walk is a one-mile, downhill trek along Macklind Avenue from the South City YMCA to Big River Running Company at Macklind and Devonshire. There are six running/walking events, with the first race beginning at 7:50 a.m. Dogs owners can walk with their pooches in The Dog Mile at 8:45 a.m. After the races and awards ceremony, there is a family-friendly street festival with music, food, and activities.